What you get with Omega Juicers is quality; it’s my favorite juicer brand! The warranty for their juicers range from 10-15 years. Should anything go wrong with your juicer, they’ll replace/repair it. You don’t get that from many of the juicers on the market. Also their masticating line of juicers like the Omega VRT 400 can preserver the enzymes and nutrients in the juice for up to 72 hours refrigerated. There are 7 additional ways you can get additional entries into the giveaway, follow the arrows below. Odd. I thought the giveaway didn’t end until the 13th. It’s still the 12th and the page says the giveaway is over. Hmm. I have no juicer either, so no favorite recipe yet. I like apple and carrot juice! Kale, Spinach, Green Apple, Ginger, Cucumber, Lime, Celery, and Green Grapes. I blend my juice, since I don’t have a juicer…yet. grapefruit, orange, pineapple, celery, cactus, parsley. Love any juice with mint! Cucumber green apple and mint is a fave! Also pineapple coconut water and mint! One of my faves is – 2 Green Apples, 1 Cucumber, 2 stalks Celery, 1/4 lemon with peel, and 1" of ginger. So delicious! I love pineapple celery 2 green apples and kale. 1 banana 1 Cup spinach 1 cup of kale 1 cup of blueberries. I love watermelon, pineapple, and coconut juice. I don’t have a juicer that’s why I need to win this! I need to get healthy! 2 Green Apples, cut into quarters. 1 in of ginger (potent – start small). 2-3 celery stalks, cut in half. 1/3 anise bulb (aka fennel). My fave is all green – 1/2 baby spinach, 1/2 kale, diced pear, cucumbers and diced green apple – delish! Morning: Apple, kale, lemon, ginger, and pineapple. Evening: tomato, cucumber, cilantro, garlic, lemon, and celery. An Apple, lemon and greens!! 1 thumb size piece of ginger, 1/2 lemon with rind, 3 medium apples, 4 stalks celery, 1 peeled orange, and 5 cups Spinach. My new favorite! I’m still new to juicing and am loving it. I love a simple orange and carrot juice (equal parts). I also like one that has a handful of kale, a bunch of spinach, 2 stalks of celery, half a lemon, half a cucumber and a couple apples for sweetness. I’ve been experimenting more with throwing in herbs like mint or basil too! I love a simple orange, carrot and apple freshly juiced juice! lacinato kale, 3 apples, lemon, thumb of ginger. Love green juice with apples, celery, spinach, ginger & lime! The Green Glorious a la Kris Carr! Kale, broccoli stems, celery, cucumbers, green apple and lemon. Favorite mixing drink apples, pears, and cherries. I like banana, ice, orange, plain greek yogurt, spinach, strawberries. Pineapple Kale Cucumber Just a refreshing YUM! on a hot summer morning. I haven't tried any yet but your Sweet Cucumber recipe sounds delicious. I don't have a juicer; so no favorite yet. I would love to win a juicer! I don't have a juicer so really can't say yet. I don’t have a juicer so I DON’T HAVE A receipe. connie d.
Simple but green! Kale, lemon, ginger, and carrots! Spinach, broccoli, celery, mint, apple and strawberries. Delicious mix! I love green juice made with kale, apples, carrots and red grapes! Now I just need a juicer to make it every morning! Love spinach, lemon, apples, carrots and blueberries. My favorite juice recipe is a combination of celery, carrots, apples, ginger and chia seeds!! I like to put together apples, berries, kale, and carrots. I don’t own a juicer but would love too. Strawberries raspberries and a banana. No fave recipes yet but hope to learn some! I don’t have a juicer so I don’t have a favorite recipe just yet but I would love to discover one that involved strawberries, blueberries and cucumber. USA residents only, why is Canada left out all the time? I don't have a juicer, but a good recipe would be kake, romaine, ginger, cucumber, and an apple. kale, apple, ginger, celery, lemon, beets, carrots, strawberries, and cantaloupe. Soo Yummy! Apples, Carrots, Celery, Cucumber, Ginger, Turmeric and Lemon. Mango, peaches, beets, a sprinkle of chia seeds. Makes me think of Tequila Sunrise (alcoholic drink). Carrot, kale, pineapple, spinach, and orange. 🙂 Yum! Spinach, kale, celery, cucumber, lemon & a bit of ginger. we put apples carrota clementines strawberrues spinach blueberrues an peppers. Love green juices. My favorite is spinach, cucumber, apple, and parsley. It is important to rotate the greens every day. apples, cellery, kale, carrot and ginger, YUM! My favorite recipe is two oranges, 2 cucumbers, 1 cup of spinach, 2-4 stalks of celery, 4 kale leaves, small branch of mint, and 1 lime! Yum. I do not have a favorite juice recipe yet because I do not own a juicer. After 7 years of stomach problems I found I was allergic to 27 foods. I now have to eat a Paleo or vegetarian diet. I do not like a lot of vegetables, so I thought juicing would be the way to go. I pray I win this so I can get healthy again! Thank you. I don't have a favorite recipe yet…. I need a juicer. 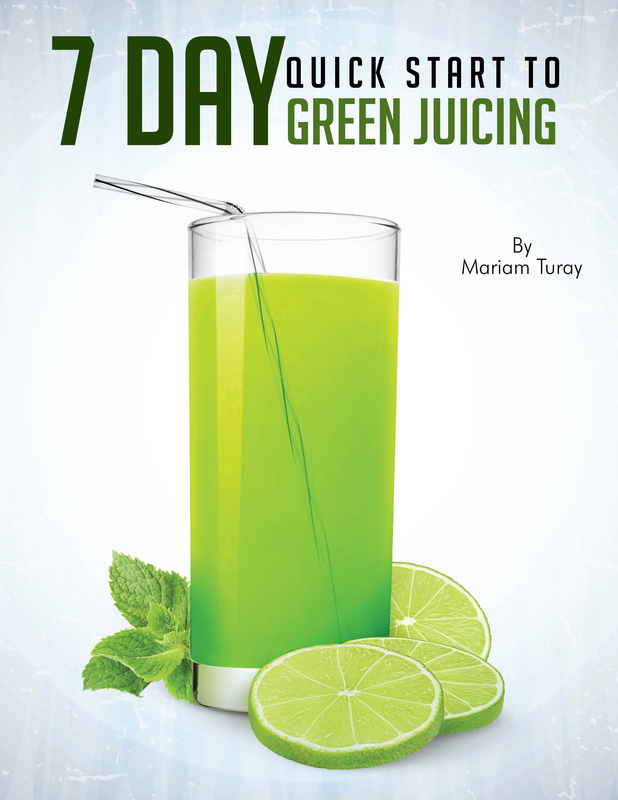 Wow this juicer would definitely be a blessing…My favorite recipe 1 lemon, 2 garlic cloves , 4 sprigs of mint, 3 cucumber, parsley and 2 stalks of celery it called a Superhuman. My favorite juice recipe is 1/3 celery, 1/3 cucumber, 1/3 leafy greens. To this recipe, I usually add a little E3Live superfood from TheRawDiet.com , a pinch of cayenne pepper powder, and a splash of lemon juice. 2 green apples, 1/2 lemon, 1/2 cucumber, 1cup spinach. just beets carrots oranges and ginger. Everything is good but pineapple, mango, Strawberries and apples with carrots, kale, spinach and cucumber. Favorite juice recipe I’d love to make first with the Omega VRT 400 Juicer is a peachy green smoothie. Liquid goodness from a juicer, YUM! My favorite recipe is Apple, celery, kale. kale, spinach, beet, grapefruit, orange and carrot. Yum! My favorite juice to make is “kale lemonade” a handful , (5-6 leaves)of kale, a few carrots, lemon, two apples…My kids gulp it down! Favorite juice so far: kale, cucumber, green apple, parsley, ginger, carrot. My kids will drink carrots+apples so we do that a lot, but I like it better when we add citrus to it like grapefruit or lemon. Weight loss smoothie.. spinach, apple, banana, yogurt, strawberries and an orange. The best! carrots, kale, cilantro, spinach, cucunber, red apple. 1/4 cup blueberries, touch of goji juice(obviously added strait to juice)2-3 green apples, 3-4 celery stalks, 1-2 cucumbers, 1/4-1/2 inch Ginger root, lemon and lime one of each, bundle of kale depending on size of bundle, 1/8 cup parsley, and then I mix in a scoop of hemp protein! Kale, celery, cucumber, lemon, ginger, pear! Carrots, beets, bananas, cantaloupe, strawberries and loganberries! So good! Also love tomato, carrot and beet together 😉 Everything is from my garden except the bananas, I love it! 1 apple, seeds removed quarered. 3 inches pineapple slices, with skin. Spinach, cucumber, celery, green apple, kiwi, lemon. Oh Yeah! Strawberry Cherry Apple Mint Lime is my favourite treat juice! SO GOOD after a long day outside. I am new to juicing but I like carrots, oranges, apples and sweet potatoes…learning how to do the greens! 2 bunches of kale, 1 pineapple, 2#’s baby carrots, 3 stalks of celery, 3 apples, and a lemon. We love it in the morning! Carrots, fuji apples, and ginger. Carrot & apple starts my day. Spinach with apples cucumber and lemon. By the way is this giveaway open worldwide? Mango,kiwi, strawberries, yogurt and apple juice. Kale, spinach, fennel, pineapple, ginger is the best! I love 1/2 pineapple, a handful of kale, 2 stalks of celery, 1/2 a lemon and of course 1 cucumber. spinach, pineapple, lemon, blueberries, kale. My favorite recipe always includes ginger, organic lemons, pineapple, either Kale, spinach or collards, cucumber, celery, apple, kiwi and frozen cherries with turmeric. 2-3 kale leaves, 1 parsnip, 1/4 red or green pepper, 2-4 apples. 3 Green Apples, bowl full of 1/2 spinach and 1/2 kale, parsley, celery, carrots, lemon, pineapple, cucumber, squash and a zucchini. Green juice, Kale, spinach banana, green apple, celery and ginger. Apple & slice of Ginger Root. I jak robisz mama soki codziennie? Ostatnio mala przerwa ale po pelni ksiezyca wracam na wlasciwa droge. Pineapple Jalapeno is my favorite, was worried about the jalapeno but it worked. I love the energy I get from juicing. My favorite is spinach,kale,cucumber,celery & lemon! Love me some spinach, kale, celery, cucumber & lemon juice! Best thing I have ever done by having a green juice everyday. Gosh I feel so good .. Full of energy.! Look forward to a juice every morning. Pineapple kale Granny Smith apple ginger. There are so many good ones, but I really like spinach, Granny Smith apples, and lemon! I love kale, apples, spinach, carrots, orange juices. one of my favorite drinks: kale, spinach, ginger, frozen pineapple, small banana. I love a lot of juices – apple, carrot, kale, beet, ginger, and lemon in any combination are all "go-to" juice ingredients for me. So far, lemonade is my favorite. 2 (or 3 if small) Golden Delicious apples and one lemon (cut yellow off, leave white). BEST "LEMONADE" EVER! My favourite recipe is: 9 or 10 small carrots, 1 small pink lady apple, 2 handfuls of kale, 4 leave of round lettuce, 1 cucumber (peeled), small amount of lemon. My favorite recipe consists of Swiss chard,lemon,apple’s,romaine. It’s the perfect blend of mild and tart. Kale , beets, apples, carrots and lemon! my Favorite juice is Kale orange pear grape. Fennel, apple, mint, cucumber. Yum!